I’ve had that dream many times — over and over — and I always wake up shaking. It is a primal fear and one many surfers share. Surfing is an adventure every day but nothing compares to a stair step ocean. As swells build from an incoming storm the arriving swell can build quickly. The nightmare is getting caught out in the ocean as the waves build quickly in size, breaking further and further offshore on deep reefs, pulling you out to sea to the incoming spawn of the storm. Very few things in surfing compare to the helplessness you feel when a large wave breaks on or in front of you. Hopefully you have time and can dive below the maelstrom; if not, your board is brutally ripped from your hands and you are thrown into a washing machine of epic proportions. As you are tossed around like a rag doll time passes underwater and you try to relax and wait it out. If you are unlucky you will be bounced off the reef, or worse, wedged in a crevice on the bottom, further adding to your adventure. Eventually, however, the lack of air forces you to the surface — if you know which direction that is — and you flail around with the hope of heading in the right direction. Most make it back to the surface before another wave comes crashing down, some don’t. When I was a young surfer I read about the ordeal of Woody Brown and Dickie Cross; that of being caught in a stair step swell on the north shore of Oahu in the early days of surfing. It was a gripping tale and one that I never forgot for its nightmare scenario. It is at the core of our fears, of helplessness and struggle in the face of a power greater than ourselves over which we have no control. It is a story of incredible courage and the raw power of the ocean and how insignificant as humans we all are with respect to the might of the sea. I repost this story here from Legends of Surfing to remind us to remain humble and always respect the power of the ocean. 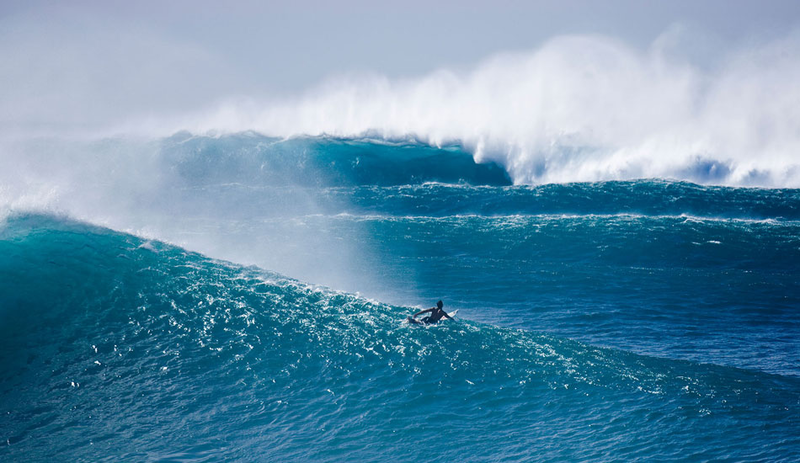 Outer reefs break on the north shore of Oahu. This is an account of the death of big wave hawaiian pioneer Dickie Cross, when Woody Brown and Dickie Cross paddled out at big Sunset in 1943, as told by survivor Woody Brown (see credits below). On December 22, 1943, Woody and a young friend named Dickie Cross paddled out at Sunset on a rising swell. Up to this time, Sunset had rarely been ridden and it was only Woody’s third or fourth time surfing the North Shore. “My friend and I,” Woody related to me, “we thought, ‘Oh well, it’s winter time.’ There’s no surf in Waikiki at all, see. So, we got bored. You know how surfers get. ‘Oh, let’s go over there and try over there.’ That’s how we got over there and got caught, because the waves were 20 feet. “So, we got caught out there! It kept getting bigger and bigger and, finally, we were sitting in this deep hole where the surf was breaking on two sides and coming into the channel. The channel opened up into this big deep area where we were and the surf would break on two sides and we were trying to catch ’em. “The only trouble was, it didn’t work that way. By the time we got there, it kept getting bigger and bigger. It went up on the Haleiwa restaurant and it wiped out the road at Sunset. It was the biggest surf they’d had in years and we were stuck out there.” I mentioned to Woody that George Downing swears the waves were 40-foot that day, breaking over a shelf in 80 feet of water, and asked him if he thought the estimate was in there. 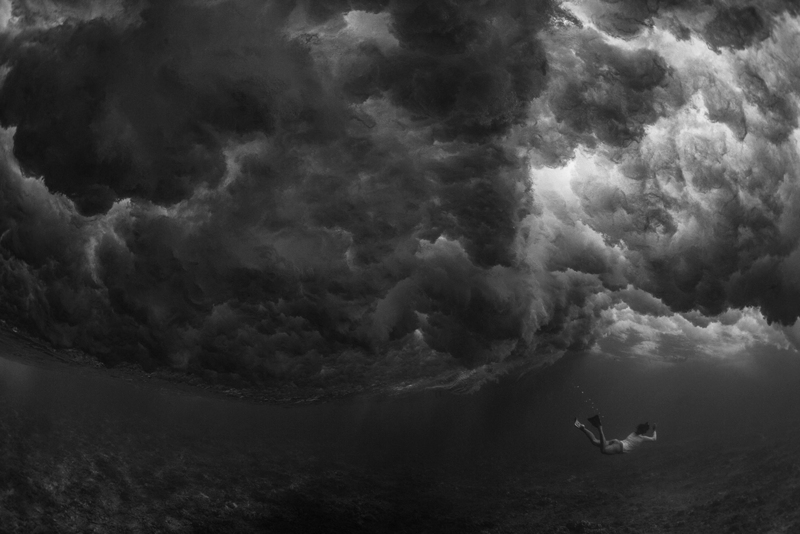 The outer reef breaks. Photo: Mark Johnson. “So, then I said, ‘How big do you think these waves are out here?’ We agreed we thought they were 60 feet. 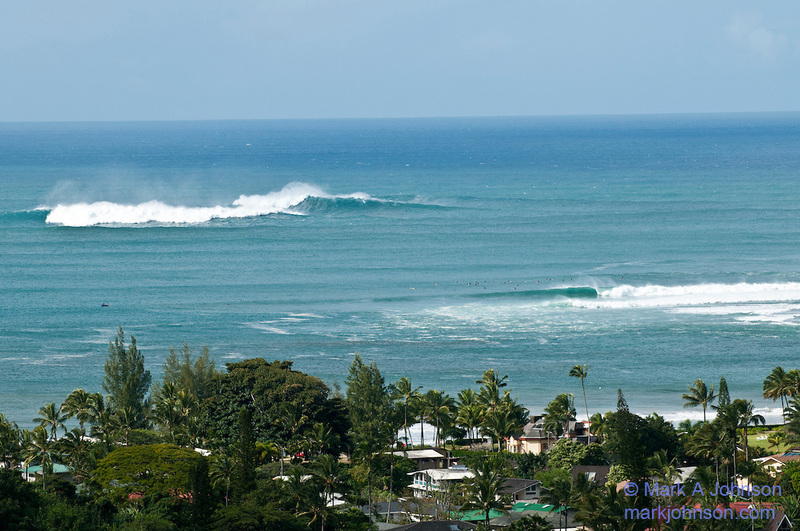 The outer reefs off Sunset beach and Waimea Bay. 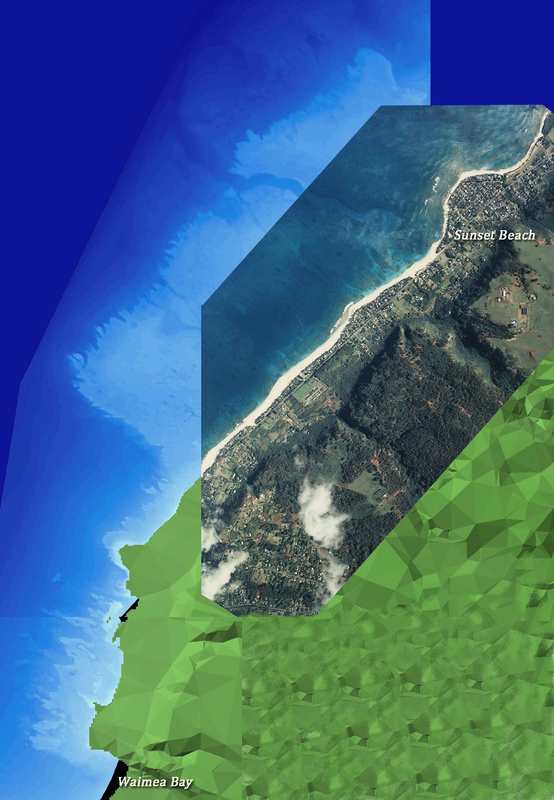 Aerial photo on the rights shows the nearshore reef, LIDAR map on the left shows the bottom contour of the reefs extending over a mile offshore. Note the deep channel near Sunset Beach where Cross and Brown may have been sheltered from the giant surf. The outer edge of the reef is about 60 feet deep, where 50+ ft. waves may have broken that day. The distance from Sunset to Waimea is about 3 miles. “So, I’m swimming and I think, ‘Well, I’m gonna die, anyway, so I might just as well try to swim in, because, what the hell, I’m dead, anyway, if I’m gonna float around out here. '” Woody removed his trunks to reduce drag and then briefly worried about sharks. “Oh, how ridiculous,” he told me. It was questionable whether he was going to live at all, so why worry about sharks? I told him I assumed he was facing out, diving into the wave each time. Dickie Cross was my cousin on my mothers side.